Happy 4th of July to all our American friends. 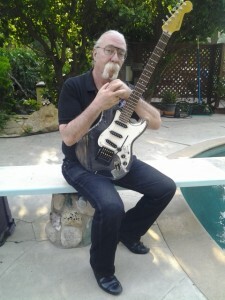 In this our final blog post for this trip, yesterday we visited a man who served his country in many ways, Jeff "Skunk" Baxter who with the bands Steeley Dan and the Doobie Brothers, provided a great soundtrack for the holidays. He performed alongside Keith in the band The Best in Japan, and gave us a fantastic update to his interview we did with him back in 2011. Okay, so had some running about to do the past couple of days, but in that time we managed to catch up with Keith Emerson Band guitarist Marc Bonilla,, whose birthday it is today... Happy Birthday Marc! 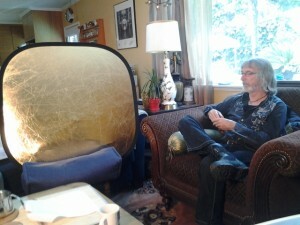 We had a great interview with him and his son Nate, who performed Keith's Prelude to Hope for us and the cameras. Later that day we met up with Keith and Mari at the Rainbow Bar and Grill on Sunset Boulevard, reuniting him with one of his Gary Farr and the Tbones cohorts Cy Langston, as well as meet up with David Skye from Woohoo Live! and Bill Snyder who had interviewed us on the making of the film as part of his Friday Night Freeform radio broadcasts. Just off for what looks to be our last interview of this trip... keep an eye out for future blogs! 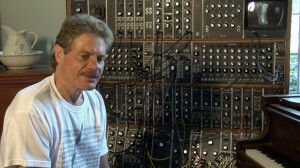 who gave us some insights on the modular system and revealed some of its most recent additions. and revealed some of her other musical influences. Then it was back to the coast, and we were able to record an insightful and honest interview with Mari Kawaguchi, Keith's partner, in a studio courtesy of Whoohoo Live's David Skye. The interview also gave insights into his recent work with the symphonies in Japan. And so we end our first day of interviews in LA. Starting off in the morning with a fantastic interview with jazz and rock keyboardist Brian Auger, of Brian Auger's Oblivion Express and Brian Auger and the Trinity. 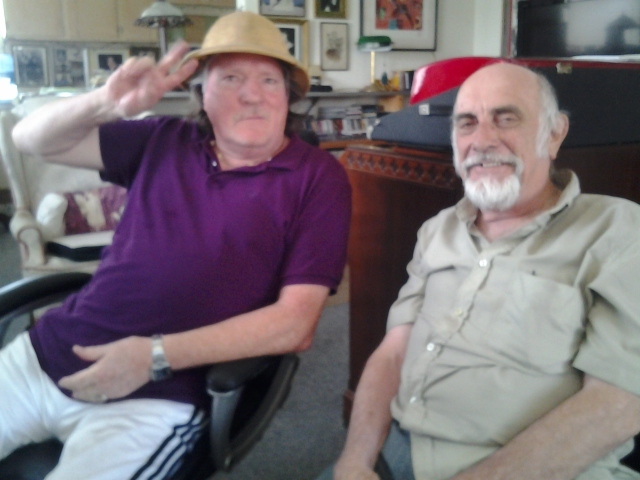 We then, listening to Brian Augers compilation on CD, moved from the beach to the mountains and caught up with the Keith Emerson Band production manager and live sound mixer, Keith Wechsler. 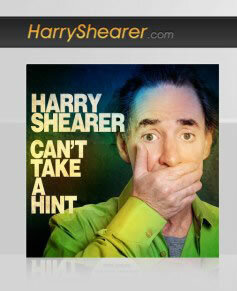 This week I received a recording made by Harry Shearer in his studio in London, UK. Being a very busy man, we were so lucky to get this recording, and if you want to see more of what Harry is up to check out his Facebook page! We still need to get Harry in camera, so more news on that as it happens. The opening sequence, which was written earlier in the year, features a whistle stop tour of the birth of Music, and the dawn of progressive rock. Now drafting up some storyboards to add a little animation to this opening sequence. More news coming soon! Thank you, Masked Man! New Perk! Today we introduce a new perk you can get when you contribute to the Prog Rock Doc campaign! You can also check out all our other perks on the Contribute page! 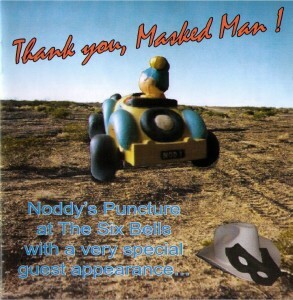 Courtesy of British Nice / ELP tribute group Noddy’s Puncture. For supporting the film for $21 you receive a limited edition CD of Noddy’s Puncture playing Emerson favorites at the Six Bells in Chiddingly in 2005. Featuring a guest appearance from Keith Emerson himself. You also get a great big thank you from both Keith and the Team on our production blog and our Facebook pages and an exclusive downloadable wallpaper from the film. 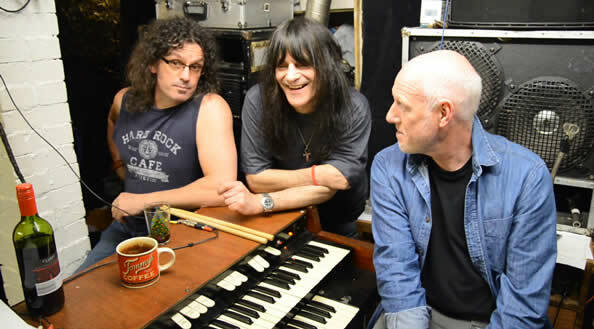 UK ELP/NICE TRIBUTE BAND "NODDY'S PUNCTURE" has undergone some changes in personnel in the past few years, so we have some updated video winging its way to the the project. 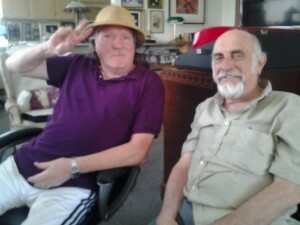 Thanks to Kevin Farrow, for recording an update to our Noddy's Puncture interview these past couple of days. Haven't seen all the footage yet, but am looking forward to seeing what Tom and co. have come up with. Till then here's a screenshot of the new interview! Earlier in the year, before we started our last crowd funding campaign, we put a call out to ELP Fans to contact us with their stories. Rob Trupiano answered the call, with his own story from 1972. Thanks to TedDillenkofer who helped us with a Tony Ortiz interview last year, and has enabled us to interview Rob this past weeked. Looking forward to receiving the footage and Rob's story in the coming weeks! 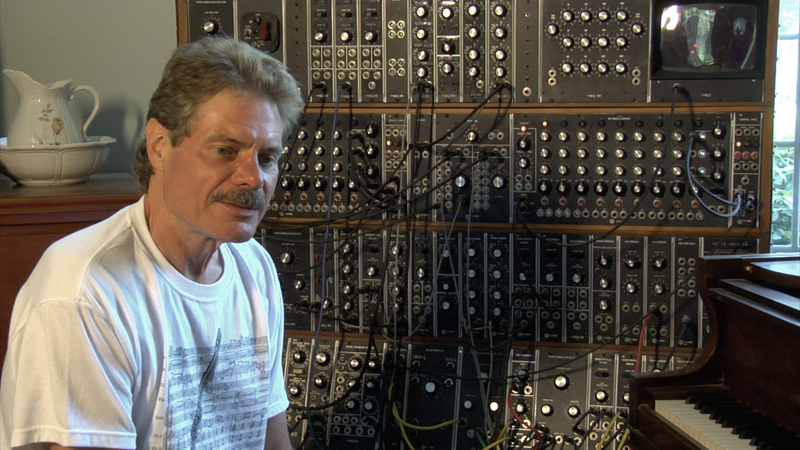 Until then, here is a 1972 / 2013 shot of Rob as he tells his story on how he met Keith Emerson. Keith talks about the upcoming documentary with Dan Miles on the Friends of Dan Music Podcast! For the full interview check out the full broadcast where he discusses “The Three Fates Project”, Chinese rhythm sections & the connection between Tarkus and The Godfather and also includes a fantastic music selection! Without music the world would be a dull place... I had the privilege to be part of the Salon Son & Image where I met my musical friend and great fan of Keith, Anne Bisson. 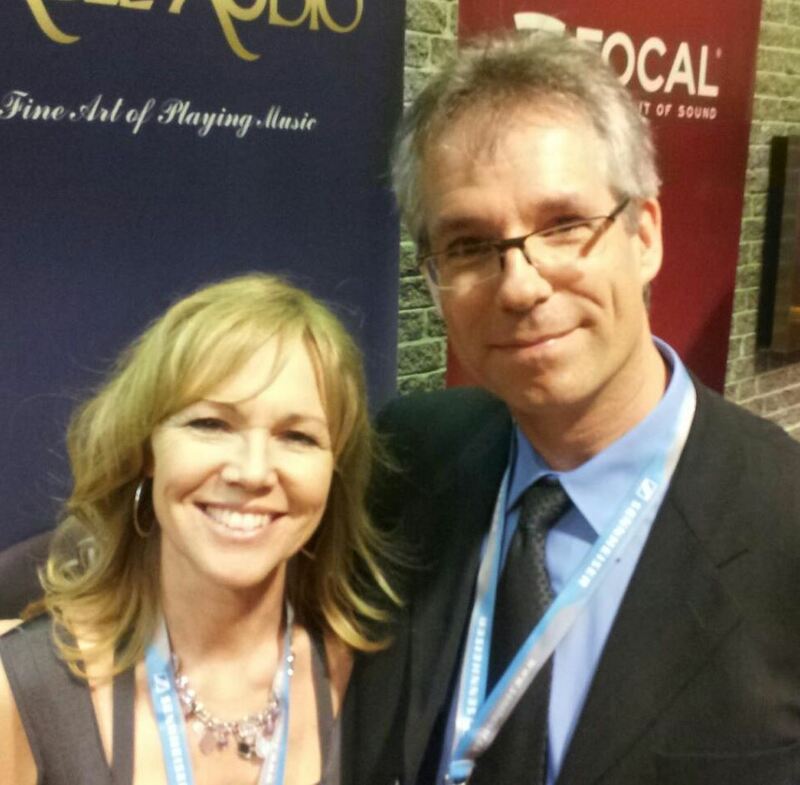 Salon Son & Image is the annual High End Audio trade-show in Montreal, QC, Canada, Anne's home city. The moment we spoke about the ProgRockDoc project, she excitedly told me she played an Emerson, Lake and Palmer medley at this very place today exactly 3 years ago! Back in BC, the team is in full swing to reveal the latest news on ProgRockDoc shortly, as we build out the twitter and facebook fanbase.